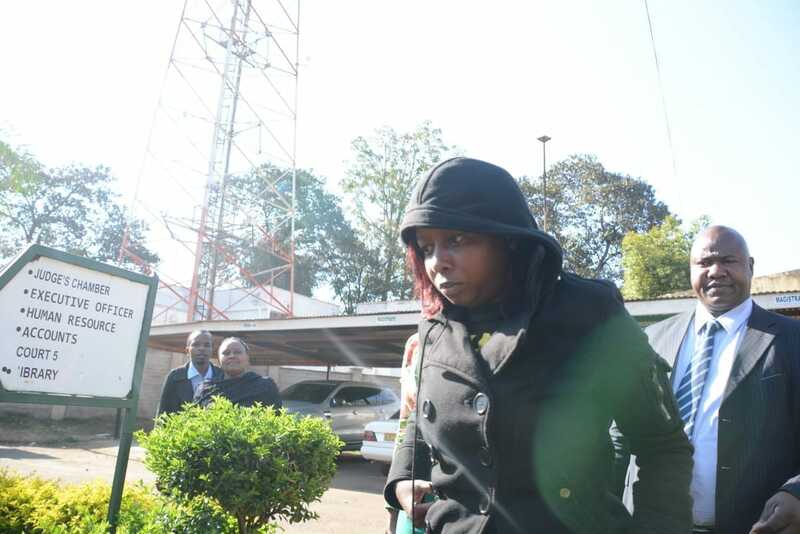 News anchor Jacque Maribe is set to be charged with murder alongside her Fiance Joe Irungu after investigations established that there is enough evidence to incriminate her in Monica Kimani’s murder. Police say that Maribe acted as an accessory to Monica’s murder as she helped her Fiance to destroy evidence after committing the crime. “We know that she helped Irungu cover up the offence by burning the clothes that he wore when he committed the crime.” DCI Boss, Kinoti told one of the dailies. Maribe also gave a falsifying statement to the police that Jowie had been attacked by gunmen on a motorbike in a bid to cover up for her man, a statement that she has since recanted. A gun and a 9mm live bullet (ammunition) was found in her bedroom and her car a Toyota Allion, KCA 031E was the car used by Jowie on the night of the crime. DCI George Kinoti confirmed that Jacque was aware of what happened but did not report it to the police station. “Days after she helped Irungu destroy the evidence, she did not report the incident until Police arrested her. Why? We believe she was part of the cover up,” Kinoti said. Earlier in the week, Jacque recorded another statement saying that her fiance Joe tried to kill himself and was not attacked. This statement was going to be her narrow escape as she was expected to testify for prosecution, against Joe. This will no longer be the case as the 27 year old news anchor will now be facing her own charges come Thursday when she appears in court. Jacque is being held at Gigiri Police Station as an accessory in the murder of Monica Kimani, a charge that if found guilty, may face a lifetime imprisonment.